This is an industry practically founded on the idea of dream collaborations and the promise of what can be accomplished when you bring together the right people. More than a decade ago, Event Marketer started its Dream Team program as a way to shine a spotlight on some of the industry’s most valuable players—the actual people we’d staff our event department with if we ever hit it big and started our own brand. For the first time, we’re focusing on event marketers from the world of b-to-b—those intrepid conference, meeting and trade show marketers working hard to acquire customers, build lead pipelines and spread the corporate vision. It’s a fascinating time to be in b-to-b, as you will learn. From the increasingly important need to master social media and technology, to the evolution of the pure logistics role to high-level strategist, today’s top b-to-b marketers are literally driving many Fortune 1000 bottom lines. We were conscious of two things this time around. One, we focused on shining the spotlight on fresh faces that haven’t graced our covers, been on stage at our events and grabbed award trophies at our galas. And two, while we didn’t design the Dream Team as a tech-heavy roster, the fact is, no category is doing more forward-thinking work in the b-to-b space than high-tech. They’ve been doing it the longest, and, we believe, have the most to teach. Indeed, the industry’s signature spirit of collaboration lives on with our first-ever B-to-B Dream Team. Congratulations to all of this year’s MVPs. Your brands are lucky to have you on their teams—and we’re lucky to now have you on ours. She’ll never take credit for it—and it’s part of why we want her as our team captain—but Weidick has long been one of the driving forces behind the evolution of the modern-day b-to-b event. 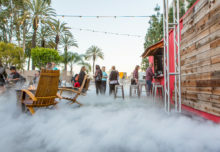 From outdoor campuses that shut down city streets to festival-quality concerts and consumer-style b-to-b experiences, Weidick and her team have steadily changed the face of the traditional conference, ushered in the era of the proprietary event and raised the bar for both the event industry—and its attendees. She knew she wanted to work in marketing and events after she graduated from Boston College, but like many in the event industry, tried on a few other careers before finding her way. After a short stint in technology sales, she followed her passion for the arts to Sotheby’s in New York City, where she worked in marketing for three years. She and her husband relocated to the Bay Area where, in 1996, a friend at Oracle offered her a job working in trade shows—“it was real event marketing” as she recalls. That led her into product launches, speaker engagement, content development and formulating the company’s executive speaker’s bureau. 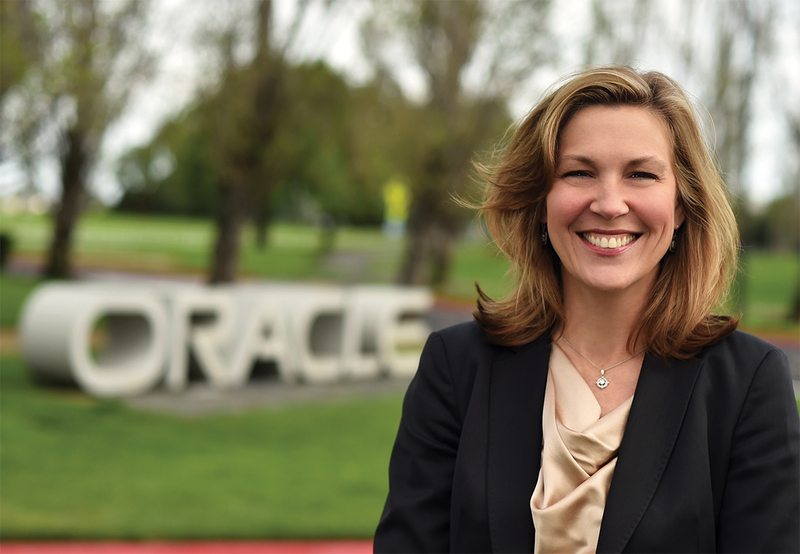 Weidick says the event work at Oracle has been fueling her passion ever since. 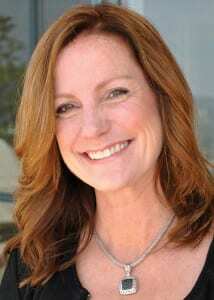 These days, Weidick uses that variety of experiences to lead Oracle’s corporate event marketing team, where she oversees everything from the 38-year-old annual flagship OpenWorld (five days, 60,000 attendees, 18 lines of business), to regional anchor events, intimate executive events, speaker’s bureau opportunities and influencer experiences for press and analysts. 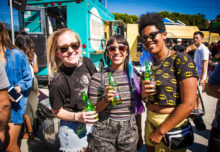 Plus activations at third-party influencer events where Oracle can get uber-targeted with unique product sets and audiences “where we go, as opposed to creating a forum for [customers] to come to us,” she says. It all adds up to a tight but highly responsive portfolio that includes about 150 large anchor events, and an event content strategy that supports more than 5,000 regional and global events and seminars each year. “Our charter is to grow not only our contacts, but of course, sales opportunities. 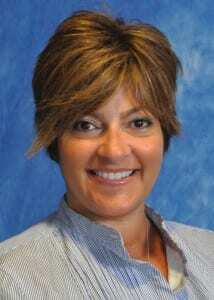 There’s a super tight alignment with our sales teams in each region,” she adds. 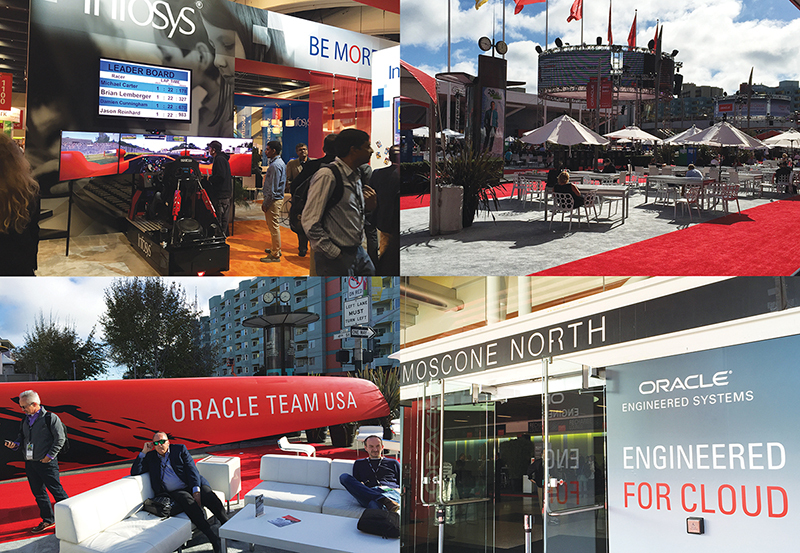 Sure, it doesn’t hurt to work at a data and technology company when it comes to aligning your CRM database with your event ROI, but Oracle has long been in the business of tracking real results for events, and using those measurements to drive budgets, event strategy and investments in future events. Equally important, Weidick says, is the company’s charter to create awareness in new or emerging categories. Cloud World, for instance, launched in 2013 as a response to a need for more visibility for Oracle’s cloud-based products and solutions. Weidick’s team recently launched a new event targeting the finance audience. Through a partnership with the company’s advertising team, keynotes were recorded, repurposed and redistributed as 90-second YouTube clips—a “micro content” strategy Weidick predicts we will see much more of in the b-to-b space. The biggest wins of her career? 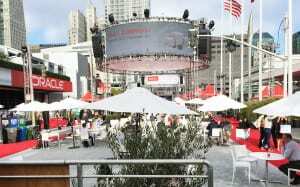 OpenWorld’s clear and present impact on the design of many of the industry’s largest proprietary events. “The highest compliment you can get is imitation,” she says, crediting her team for all of the great ideas that have kept OpenWorld at the top of the must-attend list for long-time and up-and-coming customers alike. She’s also quick to give her team the credit for her wins. “Everyone feels like they can shout their ideas out,” she says. Exactly what a Dream Team captain should be. –J.H. For her fearlessness in consolidating multiple legacy events into a new (and wildly successful) flagship conference, and her ability to distill IBM’s brand message into one consistent story across a broad portfolio of global events. Two years ago IBM consolidated the marketing event disciplines from each of its business units into one team—Bisconti’s—and since then Bisconti has overseen the company’s global conferences and proprietary events. The goal? To go to events as one IBM with a consistent presence. “It is really important that we have one IBM voice and that is really what my team is in place to do,” she says. Bisconti is a bit of an anomaly in business these days, having spent 23 years at IBM, where she started as an intern and spent five years in sales before moving into marketing positions on a geographic and worldwide level. Along the way she gravitated to events, a position she enjoys for its impact on business results. “Events are a critical part of the overall marketing mix when it comes to identifying opportunities, progressing opportunities and ultimately closing opportunities,” she says. On a more personal level, she enjoys creating customer-centric experiences that delight attendees with the unexpected. “I want them to walk away blown away by what they saw, learned and networked around, get their hands dirty and really experience things, so they have a greater understanding than if they just sat in a chair and listened to someone for an hour,” she says. 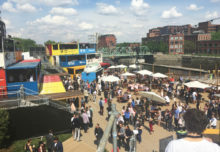 Take InterConnect 2015, for example, where Bisconti and her team folded three separate legacy IBM global conferences into one all-encompassing event. They expanded the attendee base, attracted new exhibitors and told a complete IBM story, all in the context of a customer-centric experience. The second annual InterConnect, which took place in February, took the learnings from the first even further. Although Bisconti is a big believer in digital as a way to engage remote audiences, she says face-to-face is here to stay. “The challenge facing us as event marketers, and the event industry, is how to marry the need to have that face-to-face and build the digital extension,” she says. Looking ahead, she sees increased use of technology for attendee engagement; and attendees will view events not just as essential for training, as they have in the past, but necessary to keep ahead of the game. How does Bisconti stay ahead? 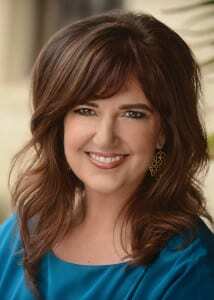 She finds inspiration in TED Talks, from her peers, online articles and blogs, and from the competition. “We can all learn from each other. For me, the transformation never ends.” –S.O. If you want to make whip-smart decisions about where and why to invest your event and trade show dollars, Schneider’s your guy. His secret weapon is the proprietary Event Score methodology he’s using that combines quantitative data with qualitative insights to help shape his organization’s roadmap for which events to amp up, which events to reassess and which events to opt out of altogether. The approach has helped create a comprehensive snapshot of Dell’s portfolio that gives his team a crystal clear understanding of the investment, the complexity and the ROI of each event. Schneider grew up in Ohio, graduated from Miami University and spent the early part of his career at Intuit working in product development. He got his first taste of events when an internal celebration opened his eyes to the impact face-to-face marketing could have on a go-to-market strategy. 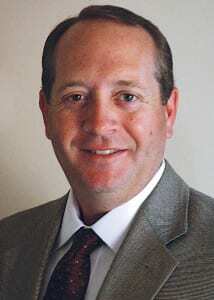 In 1999, he joined Dell at its Austin headquarters where he eventually found himself launching new products and services at CES. “Those experiences not only built up a knowledge of events and event marketing, but how you leverage events to really tell your story to the max,” he says. In addition to managing strategy and planning for partner events including VMWorld, OpenWorld, Sapphire Now, Gartner, HIMSS and many others, Schneider lends his wide array of talents to Dell’s flagship Dell World, the five-year-old conference that takes place in October. Schneider’s team last year not only delivered a record-breaking show, Dell World is now the third largest marketing driver in the company. To boot, the event set records on attendance, pipeline revenue and brand scoring—all at 15 percent less cost than the year before (thanks in part to a bold move Schneider made to move his organization from an MSP model to a Dell-managed partnership model). “The most dangerous phrase in our vocabulary is ‘We’ve always done it this way,’” says Schneider of the motto he says motivates him both personally and professionally. And today, Dell is much, much more than a PC company. It’s an evolution that could only have happened with the right strategy and the right team. We’re sure Dell’s glad to have Schneider on theirs, and on behalf of this year’s Dream Team, we’re thrilled to have him on ours. –J.H. Few operations pros understand the strategic side of the event business as completely as Henderson Thomas. Fewer still can transform some of the industry’s biggest operational challenges into attendee-centric engagement ideas. Henderson Thomas has both of these skills mastered. To the uninitiated, planning events might not look like rocket science, but for Henderson Thomas, that’s exactly what she loved about it. While working part-time as a meeting planner in college, she gave up her major in aerospace engineering to follow her passion for marketing and events and 26 years later, she’s still going strong. The Midwest native and graduate of Iowa State University came to Cisco 10 years ago as a corporate meeting planner and was quickly reassigned to help transform the company’s 14-year-old legacy event, Networker’s, into Cisco Live. She describes the job as being the CFO and COO of a small- to medium-sized business. And that’s not just lip service—Cisco Live is a fully self-funded, revenue-based event, meaning Henderson Thomas and her team raise all but just one percent of the show’s budget from the event itself. With 26,000 attendees and counting, Cisco Live has blown up since its inception, growing 300 percent in the past 10 years. “Whether she’s managing a multi-million dollar budget, navigating a complicated matrix of supplier partners, or looking after the myriad details that make Cisco Live such a magical experience, Heather’s commitment to delivering an amazing experience for attendees is unmatched,” says one of her colleagues, who nominated her for this year’s Dream Team. Mastering the art of logistics and attendee experience isn’t intuitive for many ops people, but Henderson Thomas has proven she’s got the gift. When capacity challenges limited how many attendees could watch Cisco Live’s day-one keynote, for example, Henderson Thomas put together a plan to create a “connected” keynote experience at satellite venues that this year will ultimately showcase Cisco’s technology, deliver more intimate experiences and create opportunities for what Cisco calls R.O.C.K. (Random Opportunities for Customer Kindness). “We’re a culture where there is no challenge to what we do. Only opportunities to prove how good we are at our jobs,” she says. Indeed, it takes a talented operations guru to connect the dots between their logistics roadblocks and the opportunities they present. We pick Henderson Thomas as our ops guru for this year’s B-to-B Dream Team. –J.H. Tillman’s ability to translate marketing objectives into cutting-edge event technology experiences isn’t just a rare gift—it’s a sign of things to come as more and more b-to-b marketers add marketing-savvy event technologists to their organizations. Tillman could teach a master’s course. Tillman started his career at Google in 2006 as a member of the IT support team at the Atlanta office where he worked on local events and sales conferences. In 2009 he headed to headquarters in Mountain View and by 2011 found himself working on Google I/O, the company’s flagship developer conference. An offer to volunteer his tech expertise on other large events became a full-time job and he’s been heading up the effort ever since. 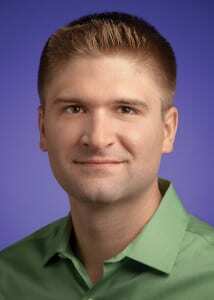 As the chief architect of Google’s Event Technology group, Tillman today leads a team of technology experts who provide planning and infrastructure for close to 100 of Google’s largest public-facing events, including DoubleClick Partner Summit, Google Design Conference, Adwords Performance Summit and Google I/O. Naturally, expectations are high when it comes to integrating technology into Google’s events. Tillman acts as a technology ambassador to the company’s marketing and events teams, agencies and engineering teams to develop frameworks and immersive experiences that can bring the event’s goals to life. “Speaking both the language of engineering and the language of marketing allows me to not only maximize value and performance, but also to expand what is possible when it comes to executing the overall vision and experience of the event,” Tillman says. Like Google I/O, one of the event technology programs he’s most proud of because it raises the bar year after year (and we concur!) But he says he’s equally proud of his team’s “no event too small” mantra, and its ability to lend a hand to internal teams in need of marketing support. “Some of the toughest technical challenges are around small booths in very large trade shows and we’ve built up a fairly stunning track record, particularly in the education space,” he says. So what does an event technology guru predict we’ll be seeing at b-to-b events in the future? “I’ve noticed a marked increase in live streaming of content and sessions, and I think the virtual space is poised to become an integral part of b-to-b events,” he says, noting that these kinds of changes will require more technology infrastructure than ever. Attendees will only become more connected, too, requiring that event marketers “engage them where they are” via apps, wearables and other immersive technologies. “The more they can be involved with the content, the more engaged they will be,” Tillman says. And the more critical they’ll be, too, as attendee expectations about everything from wi-fi to streaming speeds rise ever higher than the year before. Tillman takes his groundbreaking role in stride and focuses on the possibilities. “Any live event carries some inherent risks,” he says. “Embrace them. Don’t let conventional wisdom tell you something can’t be done.” –J.H. With a degree in finance and prior experience in investment banking, Yoon is analytical and understands the need for data-driven results, but that doesn’t inhibit her creative side. It’s a rare combination of skills she tapped into while helping to raise millions in equity for investments. “I did email marketing, pitch books, met with clients and found I enjoyed the creative part more than the straight analytical stuff,” she says. 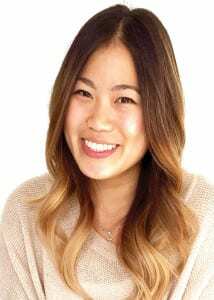 Yoon brings those two qualities to her role at American Express, which she joined to analyze the ROI on trade show investments and optimize its marketing strategy. “I didn’t know everything about the trade show industry but I was able to find a space in it, then transformed from analyzing shows, to choosing shows and evolving sales strategy and now I own all the marketing strategy for the team,” she says. She oversees marketing activations for American Express at more than 250 b-to-b events annually, manages agency partners and the internal team and consolidates overall American Express strategies into ideas and concepts—then executes on them. “The cool thing for me is being able to actually see the thing that I have worked on come to life,” she says. She also enjoys keeping abreast of the trade show business, and in the process has become an expert in understanding how the nuances—such as booth placement and even the time of year of a show—can impact ROI. What she is most proud of, and we completely agree, is revamping the company’s underperforming trade show marketing with a new approach to targeting and creative that has exceeded goals at every show to date. B-to-B events are more important than ever, says Yoon. Attendee expectations are higher, and exhibitors are more focused on results, and as a result, show organizers need to become more strategic. “They need to become better partners, whether that is offering educational sessions or ways to integrate with the entire show. They need to think more holistically about the entire show floor, not just the big clients, because the overall environment is what makes the attendee come,” she says. She also has some words of wisdom for other marketers looking to succeed in b-to-b events: Focus on the customer, their needs and thoughts. Be clear and concise in your marketing to stand out from the clutter on the trade show floor. And be flexible. “Shows and attendee demands change from year to year. Use past historical data and trends as well as new ones to create a more evolving strategy. Don’t get stagnant,” she says. Sounds like a plan. –S.O. For the “wow” experiences she creates at AT&T’s trade show exhibits by bringing augmented reality, virtual reality, transparent touchscreens, holograms, projection mapping, functioning connected homes, connected car simulators and more, into the booth. “You can’t just have a simple device sitting there, you have to take this technology and show it off,” she says. That spirit goes back to her days as a high school teacher when Clayton managed university summer camps for a cheerleading company and took the students to Europe to perform. She eventually joined that company as an account manager, then hooked into the world of wireless at Cingular (which was rebranded to AT&T after an acquisition in 2007), where she began in operations, then moved to business development in the Emerging Devices division. There she worked on innovations such as connected cameras, connected photo frames and connected watches and handled events on the side until one day she suggested to her svp that one person should manage events—her! The president of the division agreed, and a new career for Clayton was born. A year ago she turned her focus to the Internet of Things, which includes smart homes, smart cars and even smart cities, and now manages the booths and logistics for that group as well as global events such as Mobile World Congress, CTIA Super Mobility Week and Hannover Messe. “We’ve always had a good presence at these shows, but because I am able to concentrate full-time on it, our presence is stronger now,” she says. For inspiration, Clayton is quick to point to her agency partners as the “go-to” for new ideas. Another source of inspiration? A sign that hangs in her bedroom that says “Everything will be okay,” a thought that three years ago helped her survive cancer and to this day helps relieve the stress of work demands. “There are so many people to please, so many wants and asks and timelines to reach,” she says. Industry colleagues say she does an amazing job working with all of the groups within AT&T and is “a dream to work with.” –S.O. Because the world is his playground—and he knows exactly where to have the most fun and deliver the most impact for Sony Mobile. As senior global event manager at Sony Mobile, Törnqvist decides which 25 to 30 events each year the company will participate in across the U.S., Europe and Asia. In 2015, that included Droidcon London, IFA Berlin, Mobile World Congress in Barcelona, AR/VR Deutsche-Telekom Hackathon in Bonn as well as domestic events such as CES, Wearables TechCon in Santa Clara, and, well, you get the picture. The engagements vary from taking booth space and hosting hospitality dinners and meetings to sponsoring hackathons, speakers and panelists, and more. 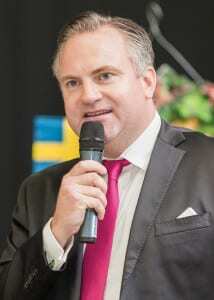 As his name suggests, Törnqvist hails from Sweden where a 10-year stint in the travel and tourism business led him into arranging company events. After a few years running his own event and sponsorship agencies, he landed a job working for events at Sony Ericcson as it was known at the time, then moved with the company to San Francisco, where he is based today and oversees event planning for all of Sony, including cameras, TV, mobile phones and tablets (except for Playstation). One of his proudest accomplishments is the 2011 launch of Sony’s gaming phone, Xperia PLAY, at two major events, Game Developers Conference in San Francisco and at E3. When it comes to getting ahead in b-to-b events, this seasoned marketer offers this advice: “It depends on the company, but internal politics and networking is important to getting things done,” he says. “It’s always a fight to get people to understand the purpose of the event. In many people’s eyes it’s just for fun.” Another pointer: Build a team of key people who understand the business and are well prepared to attend the event and execute it. And, hey, if they have a little fun along the way, that’s not all bad either. Humor and having fun together are a great way to motivate the team. We’ll drink to that. –S.O. For her creativity and know-how, qualities she leverages to engage attendees and drive participation for the NetApp brand. Some standouts: 3D selfies of conference attendees that drove social media buzz for weeks and customized virtual reality Oculus Rift games that delivered a memorable engagement. Lechowicz oversees the entire customer life cycle as well as more than 30 events a year across Europe, the Middle East and Africa, including industry trade shows, internal conferences and end-user conferences and seminars for as few as 10 to as many as 10,000 attendees. 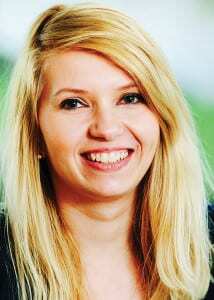 A University of Wroclaw graduate, she began her career in international relations and lived for a time in Asia where she discovered the IT industry. She joined NetApp in Germany and is currently based in London where she oversees event planning, strategy, digital campaigns, media support and delivery on-site, but the really cool thing is the creativity and technology she brings to her role. IT is a “changing environment,” she says. “It changes from week to week, and our customers expect the latest. I always try to stay one step ahead of them.” As a result, Lechowicz ensures NetApp events offer customers something they haven’t seen or tried before. When Lechowicz started with the company six years ago, people thought webinars and online conferences would replace live events, but she and the industry have proven them wrong. “We still see an increase in the number of attendees, but you have to make sure you offer what they are looking for,” she says. And that would be, regardless of what industry you are in, but especially for IT, face-to-face interaction as well as high-quality content. She achieves that by communicating with attendees before, during and after events and creating subject matter communities that keep them coming back for more. 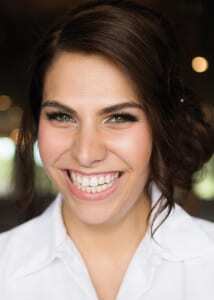 Lechowicz enjoys the direct contact she has with influencers and customers, the networking access and the ability to influence the content and delivery at events, and says that success in event marketing requires three skills: First, being open and comfortable with research, which will open your eyes to what is new. Second, the ability to resist the stress of the ever-changing event environment. “This is a one-time trial, whether you are ready or not the event will happen and you will be measured on what you deliver. There are no second chances.” And finally, you must like your job. “You may not like everything about it, but find an element of that work that is not only satisfying but fun. That will keep you going,” she says. Those three qualities, along with inspiration from Tony Robbins’ books and Simon Sinek’s online Why Discovery Course, keep Lechowicz going in the ever-changing world of IT events. She’s got our motors running, too. –S.O. This digital media superstar isn’t just our pick because she knows her way around events and social media strategy (trust us—she does). She also knows how to translate that digital savvy into a constant flow of compelling content that keeps one of Microsoft’s flagship event communities excited and engaged year-round. And that, friends, is the new b-to-b imperative. Gascoigne started her career in events as an intern at Big Brothers Big Sisters of America. After contract stints at Microsoft and Starbucks’ Design Studio, she landed back at Microsoft’s Worldwide Partner Conference (WPC) group, where she’s been a full-time employee for two years. Today, she oversees social media strategy, paid digital campaigns and WPC partner community blogs and video content. Gascoigne cringes at the idea of being called a social media expert. “Social and digital changes so often you can’t really be an expert in anything,” she says. But she does embrace the idea of being a disruptive force at Microsoft willing to question everything if it helps get to a better solution. “I do have a little different point of view coming from the social world, so I try and bring that to the rest of the group and the way we think about things,” she says. Part of that disruption is about breaking down the perceived barriers between experiences in the digital world and those in the physical one. To optimize Microsoft’s partner experiences year-round and at WPC, Gascoigne and her team produce a savvy mashup of content ranging from blogs (200 posts last year!) and videos that spotlight key partners and target just the right digital audiences, to innovative real-time social media responses that surprise and delight members of the community with creative perks like personalized Twitter graphics. It all adds up (literally) to impressive boosts in earned media, off-the-charts click-through rates on paid media and most important of all, an inspired and educated attendee community that keeps WPC humming all 365 days of the year. “In addition to her strategic and creative leadership, she is an incredible team player and positive spirit,” says one colleague who nominated her for this year’s B-to-B Dream Team. #wecouldntagreemore –J.H. Sign up for updates on future B-to-B Dream Team programs or nominate for the 2017 B-to-B Dream Team.